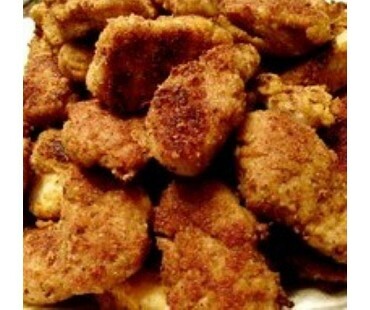 Low carb gluten free breading and crusting mix with just 1 net carb per 1/4 cup! 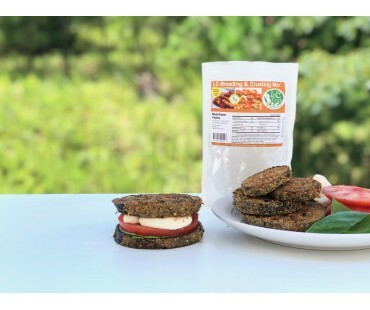 Made with flax, chia and whey protein, this breading and crusting mix is high in both fiber and protein. 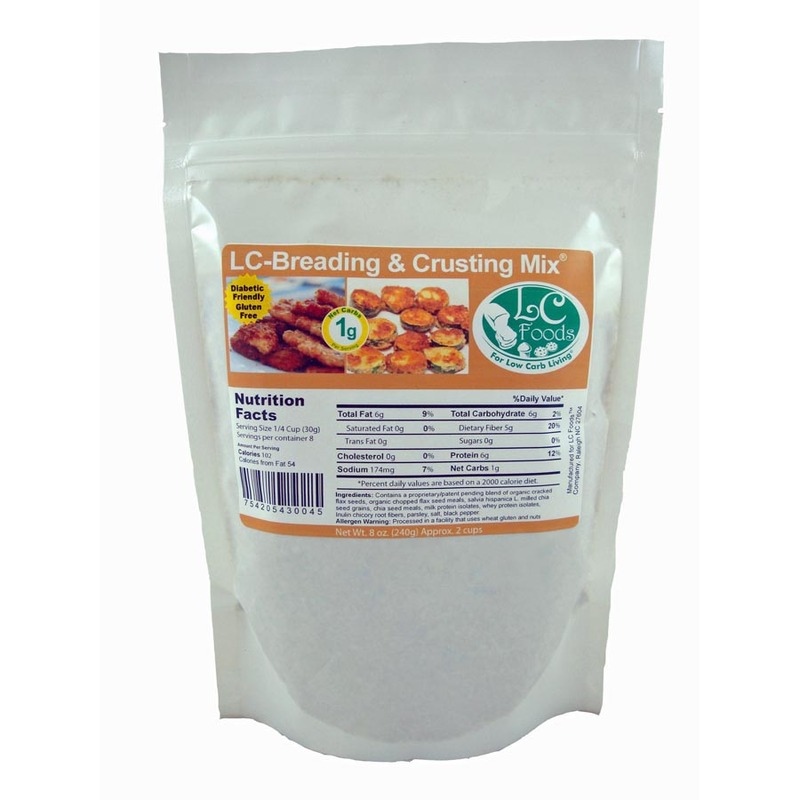 Use as you would traditional bread crumbs - for chicken tenders, breaded fish, coated veggies - just add your favorite seasonings and fry, bake or grill! 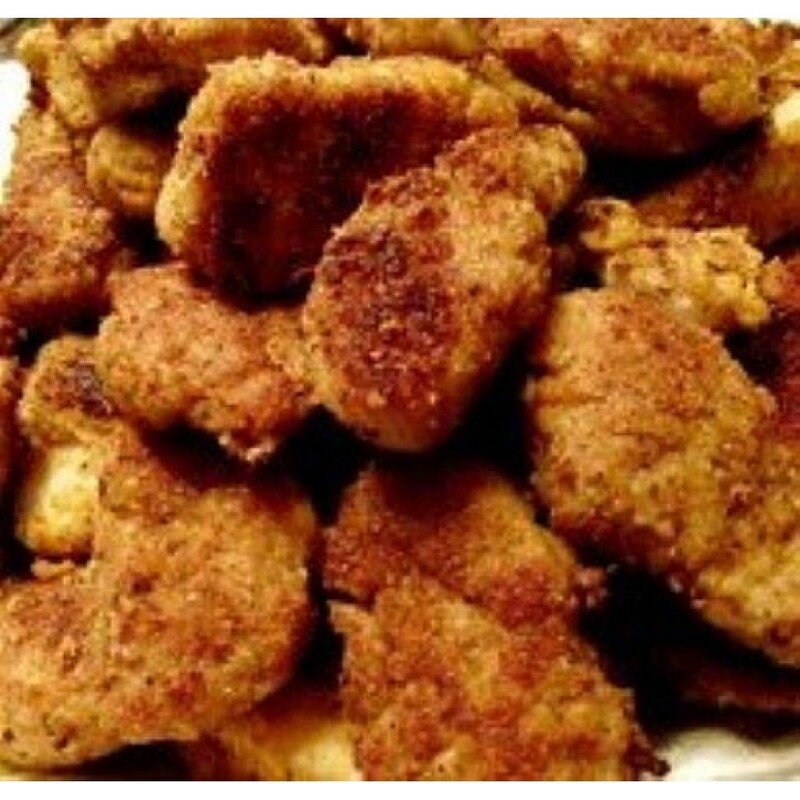 You can also use this low carb breading and crusting mix to top your favorite casseroles or other baked dishes that need a special finishing touch. 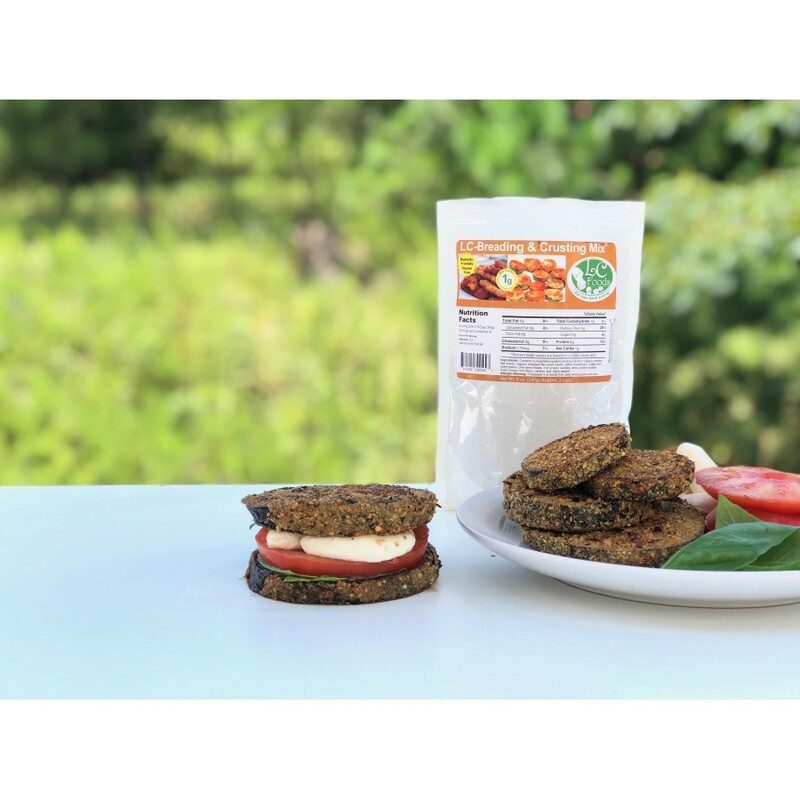 Make your favorite meatballs, meatloaf, onion rings, stuffed mushrooms or cheese sticks with this low carb breading and crusting mix. 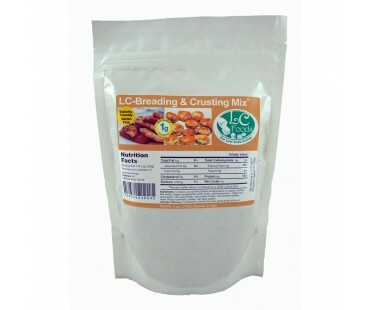 **If you have celiac disease or are highly sensitive to any wheat particles being in your food, we want to inform you that LC Foods does process vital wheat gluten in the same facility with our gluten free products. Our food safe procedure to insure limited cross contamination is to thoroughly wash and clean all filling and bagging equipment between packaging and processing wheat products and gluten free products. Heavenly coating for fried chicken. I used to use almond flour, but much prefer the LC Foods breading for fried chicken.